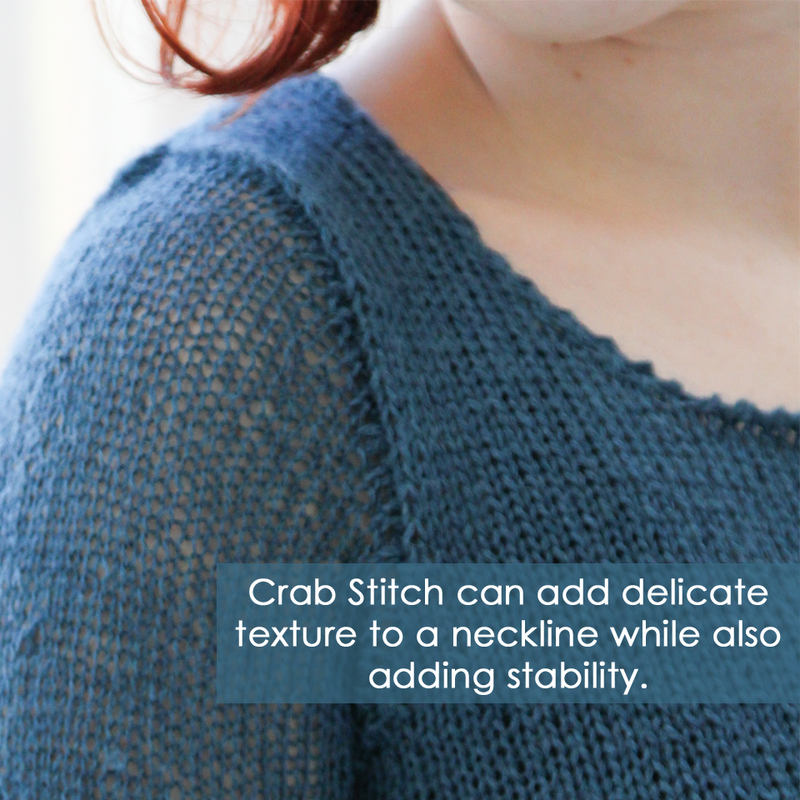 This week, we’re showing off 458 Stella Pullover. 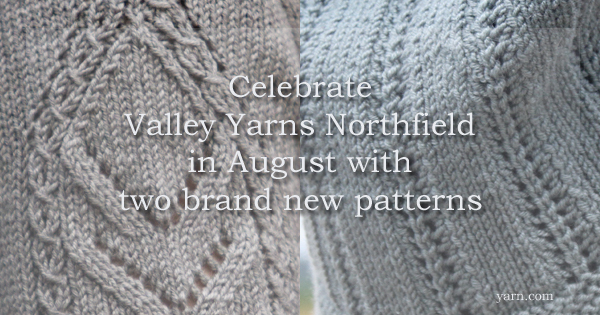 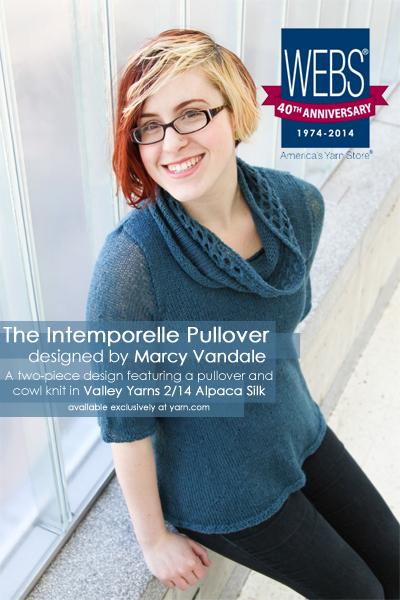 This pullover is knit in Valley Yarns 2/14 Alpaca Silk and it creates a super light, super drapey, airy garment. 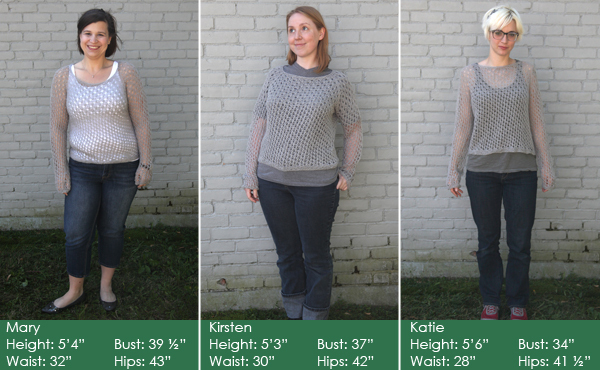 This top-down, seamless raglan sweater is adorned with simple lace eyelets. 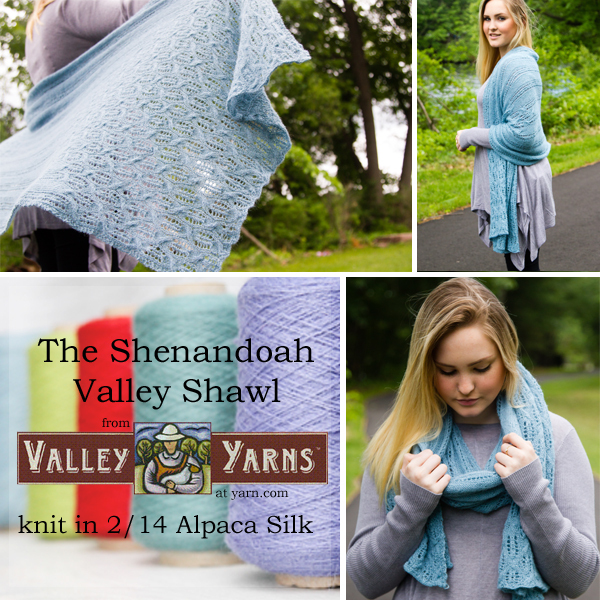 The loose gauge makes this a light and sheer layering favorite. Nearly all of us would knit the sleeves a bit shorter on this pullover, but since it’s top-down that is an easy adjustment. 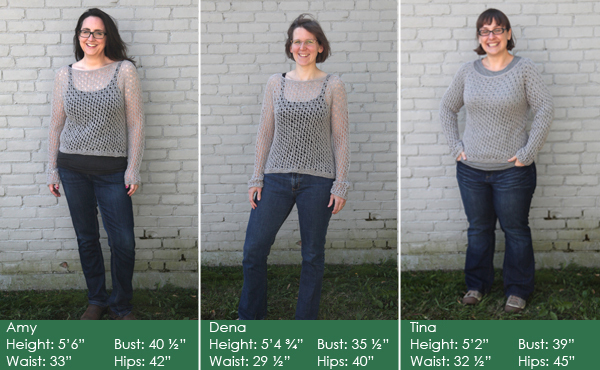 This top was really quite comfortable and warm, but super light. 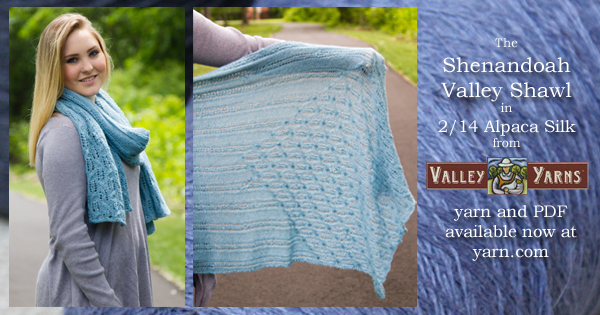 It’s a great layering piece that isn’t too warm, and it’s quite versatile. 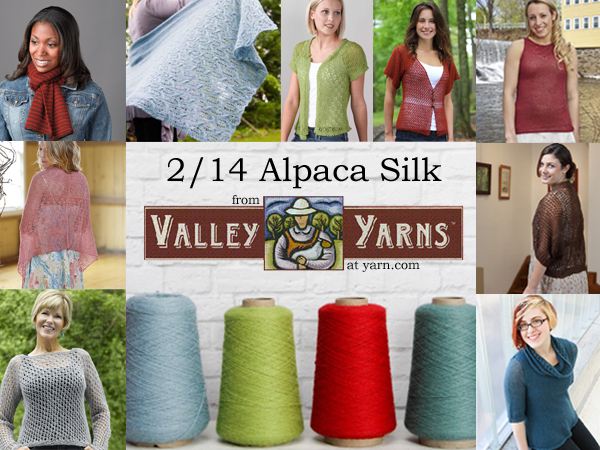 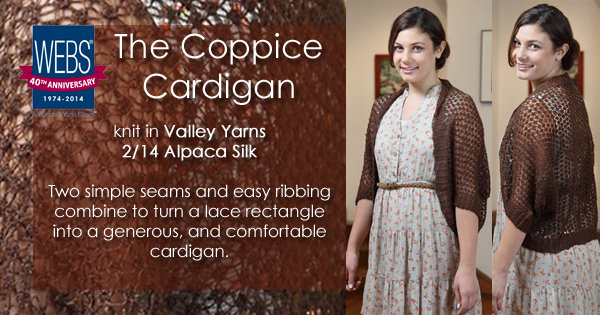 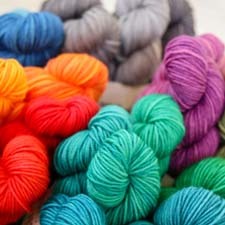 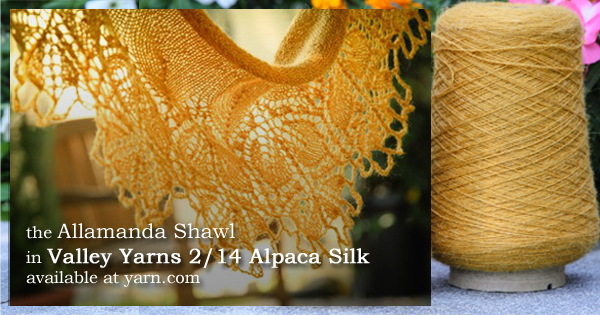 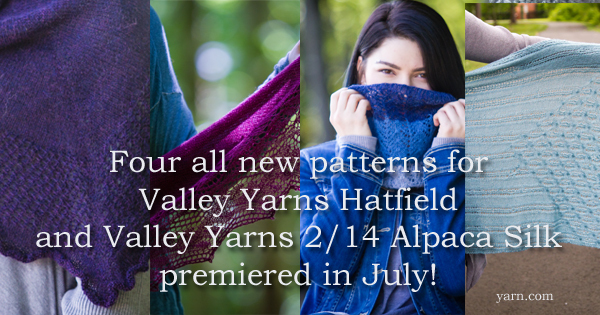 There are also great color options in the 2/14 Alpaca Silk. 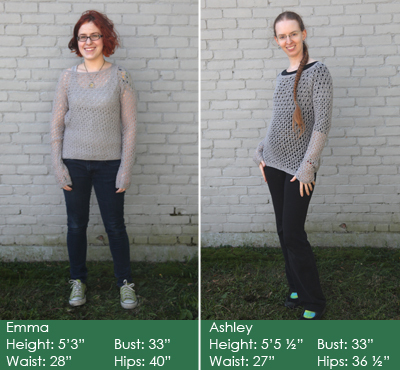 You can check out 458 Stella Pullover here.